It’s been a long time coming but we finally have a nice new bathroom! 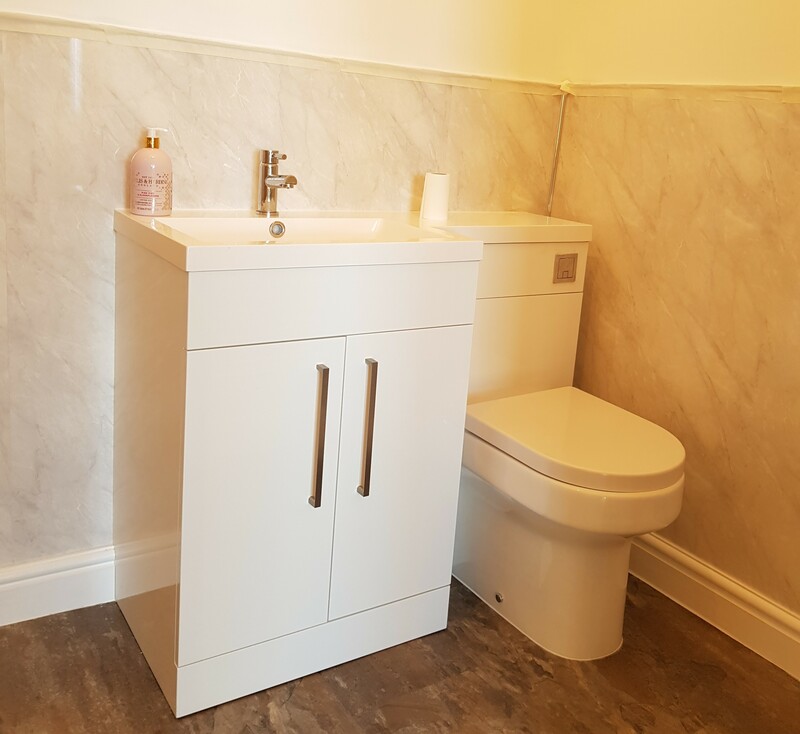 We had our ensuite completed last week. It’s so lovely having a newly renovated room that’s all fresh and clean! It’s really spurred me on to want to do more of the house. Prior to that I think I just got used to living in the chaos. Always preferring holidays to focusing on the house. That has all changed now and I am excitedly planning the next project! Funds allowing of course. Although I have been entering lots and lots of competitions hoping that might speed up the progress! A big cash win would be the icing on the cake. But I am also keeping my fingers crossed for a holiday win. As my husband has said I am not allowed anymore after Dubai. But as you can see from my January competition update, I am hardly setting the comping world on fire with my wins! Let’s hope February is kinder for me, although already day 11 and just totalling one win! Fingers crossed I have more to write about come my monthly update. Otherwise it might be a very short post! I am excited to finally have some bathroom storage! Before now I used to keep all the bottles cluttered along the sides. Now they can be hidden out of sight. We decided to go for an electric shower so when we run out of oil we can still shower! My parents are delighted as we always used to have to go to them to wash whilst we waited for an oil delivery. They are on a water meter, so my dad is glad we won’t be using all his water anymore. We opted for shower boards not tiles as they are easier to keep clean! I am all for the low maintenance option wherever possible. We can enjoy a warmed towel after stepping out of the shower! It’s lovely adding those little luxuries that increase your comfort levels. I have added a heater to the bathroom for the times we don’t want to heat the whole house but want a warm bathroom to wash and change in. I am turning into a person who is more excited about house news! My cousin was talking about designer handbags and I am more enthusiastic about which toothbrush holder I will get! We still have a few things left to do, my husband wants to give the room one more lick of paint. We need to add a mirror and I want to go bathroom accessory shopping! Our spotlights need to be fitted. The plumber will hopefully be back this week to do that.